Before cooking frozen lobster we thawed and rinse. Living lobster wash under running water and Snoozing in the freezer (15 minutes). We put the lobster in boiling water upside down. 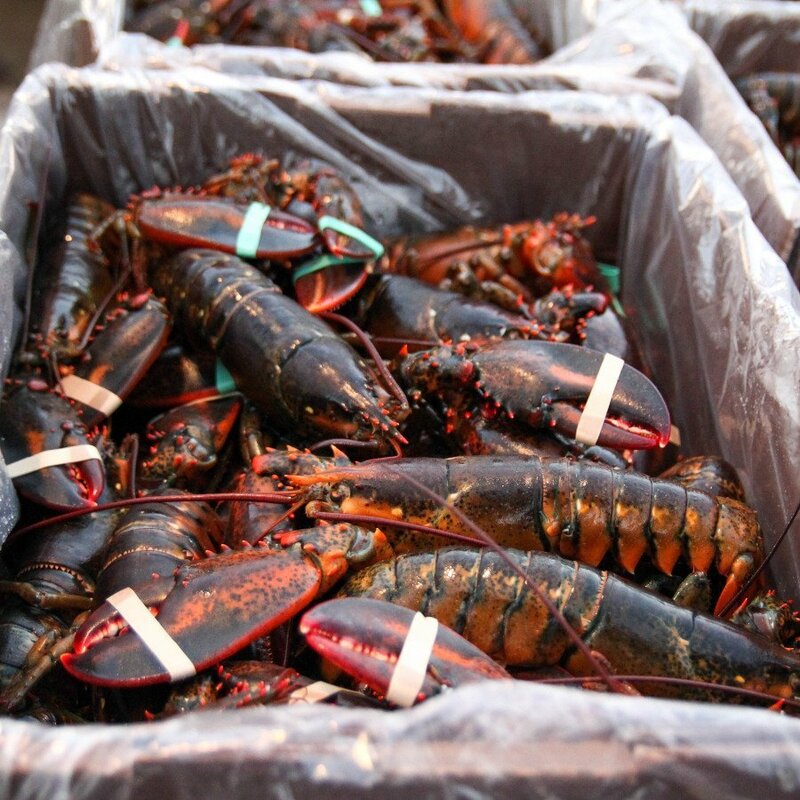 Again we bring to a boil and cook respectively frozen lobster 2-3 minutes, fresh lobster 12-15 minutes. Time start to count from the time of re-boil water. At the beginning of the water with salt, add pepper, thyme, parsley and bay leaves. Cut a lemon in half, squeeze the juice with water, then wrung put into boiling liquid. You can also pour the wine. We boil uncovered. Pliers cooked lobster should be red and the abdomen curled. Remove the lobsters from boiling water with tongs, we tear the head (inedible part) exactly cut along the trunk. Lobster served with melted butter with garlic and possibly vegetables.